1. 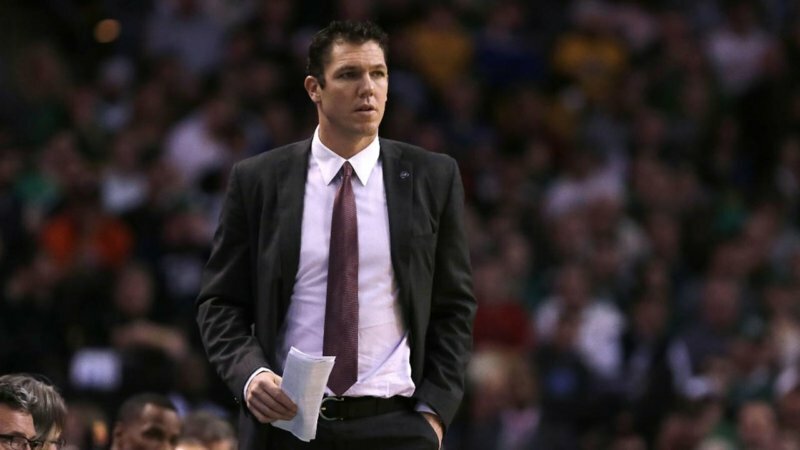 Luke Walton, LA Lakers, is my early pick for NBA Coach of the Year. 2. Gregg Popovich, coach San Antonio Spurs, loses Tim Duncan … keeps winning! 3. There is no defense for Steph Curry, Golden State Warriors, just hoping he misses. 4. I underrated the LA Clippers; they are leading the Western Division and playing well. 5. Brad Stevens, Boston Celtics, is a great coach at any level, NCAA or NBA. 6. FIBA legislated against the ‘tactical foul’ to stop the fast break, a good idea for the NBA. 7. 7’3″ Kristaps Porzingis, NY Knicks, just 21 years old, keeps improving … and that’s scary. 8. Vince Carter, Memphis Grizzlies, is the oldest player in the NBA, at 39, and is averaging 18 ppg. Impressive. 9. Phil Jackson is in his 3rd year as President of the NY Knicks and they have yet to get over the .500 mark. 10. What? LeBron is in his 14th NBA season? You’re lying! Whoa. It’s true. Where does time go? 11. When will the NY Knicks wake up and realize they will never have a winning team with Carmelo Anthony? 12. Chris Paul, G LA Clippers, had LASIK surgery in the off-season and is shooting better than ever? Hmm. 13. I’d love to see the NBA go back to the old screen-set rule: you must set the pick one step away from the man. 14. The NBA said they were going to crack down on ‘palming’ and ‘traveling’. Has that happened? 15. Wilt Chamberlain would have been 80 this year. As he was in 1960, he’d still be the best C in the NBA. 16. Kawhi Leonard, SA Spurs, gets better every year. He’s now a top-five player. Seems to have no ceiling. 17. Russell Westbrook, at 6’3″, is 2nd in NBA in scoring, 2nd in assists and 15th in … rebounding. Amazing. 18. The NBA is a star-driven league but bench strength still matters, especially during the regular season. 19. The ‘3’ is the now ‘2.’ Everybody is a ‘shooting guard’ today, and all are interchangeable parts. 20. James Harden, Houston Rockets, just may not be the negative player many thought he was.